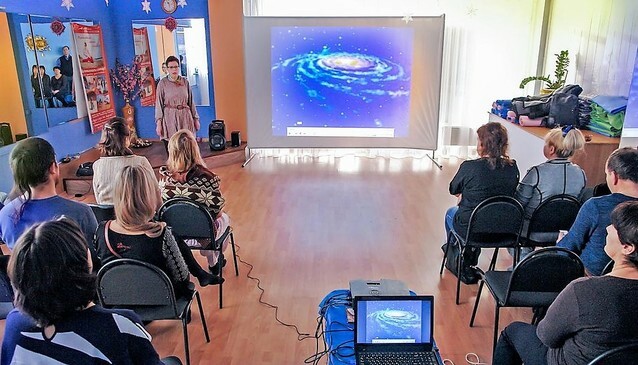 The first Falun Dafa 9-day Lecture Workshop offered in Chelyabinsk was held from January 5 - 13, 2019, and attracted twenty people. They watched the lecture videos and learned the five sets of Falun Dafa exercises. Afterwards, the participants talked about their experience and shared their thoughts about learning Falun Dafa. Ms. Lyubov Vasilyevna decided to attend the workshop after she received a flyer about it. She said that the teachings of Falun Dafa completely turned her perspective on life around. “I've begun to reconsider my attitude towards life, the world and the people around me. I am learning to do things according to the principles of Truthfulness-Compassion-Forbearance,” she said. ‘Nevertheless, some people do not have a problem hearing me. Though they may sleep soundly, they hear everything without missing a single word. They will become energetic afterwards, and will not feel sleepy even if they go two days without sleep.’ Lecture Two, Zhuan Falun.